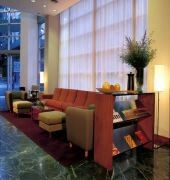 This centrally located, recently constructed city hotel is functional in design. It is ideal for both business travellers and holidaymakers alike and comprises a total of 100 rooms, including 2 suites. Facilities on offer to guests at this air-conditioned establishment include a lobby area with a 24-hour reception and check-out service, a hotel safe, a currency exchange facility, a cloakroom and lift access. It also offers a cafe, a bar, a pub, a restaurant, conference facilities and Internet access. Moreover, guests may take advantage of room and laundry services.This hotel is located in the heart of the tourist, commercial and financial centre of Buenos Aires. It is situated near the block of houses known as the %u2018Manzana de las Luces%u2019 and lies surrounded by the city's most emblematic buildings and monuments: Government House, the Cabildo, the Cathedral and the Plaza de Mayo. 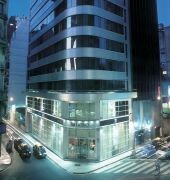 The hotel is situated on diagonal Norte, the avenue that joins the Obelisk with Plaza de Mayo, a few metres from Calle Florida and the best known shopping centres. 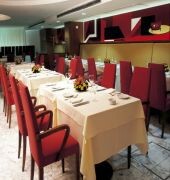 Guests will find bars just 300 metres away and restaurants within 700 metres of the hotel and the Recoleta area is 2 km. Ezeiza International Airport is just 33 km away.The rooms all come with a private bathroom with a shower/bathtub, a toiletries kit and a hairdryer, as well as a telephone, cable TV, a stereo system, an Internet connection, an independent telephone line for a modem, a minibar, air conditioning and heating. Furthermore, an ironing set, a king-size or double bed and a safe are provided in all accommodation as standard.